WebOnlyPiano is proud to have teamed up with Heritage Music Press in order to offer this celebrated course. Each learning level includes a lesson book, theory book, and an ultra-high quality play-along accompaniment disc (included in the back of the lesson book). For each lesson that has a play along track, there is a small disc symbol at the bottom of the page. The course is available in virtually all play-along formats: The versatile General Midi Floppy Disc or General Midi Compact Disc format features one track each lesson—the tempo (and the key for that matter) may be adjusted by the student to fit practice or performance requirements. The student may also mute either the right hand or the left hand piano part individually for practice, or both piano parts for full performance. It is also available in all popular player piano formats and features two tracks for each lesson—one track at performance tempo and one track at practice tempo. One of the most exciting features of the WebOnlyPiano Discoveries edition for PianoDisc systems is that the keys actually move to show the student where to put their fingers! Then, after practice, that feature may be turned off and the student may play normally with the accompaniment track. It is also available as a standard audio compact disc with the piano part on the left, and the accompaniments on the right, thereby allowing the student to listen to the whole performance, or play along with just the accompaniment tracks. Piano Discoveries is an 8-level, 16 book series. Each level "set" from WebOnlyPiano contains a Lesson Book, a Theory Workbook, and a play-along accompaniment disc. The first two levels are usually considered an "either-or" proposition. Level 1A builds on the basics introduced in either of the previous Starter books for children (or adults) with no musical experience at all. 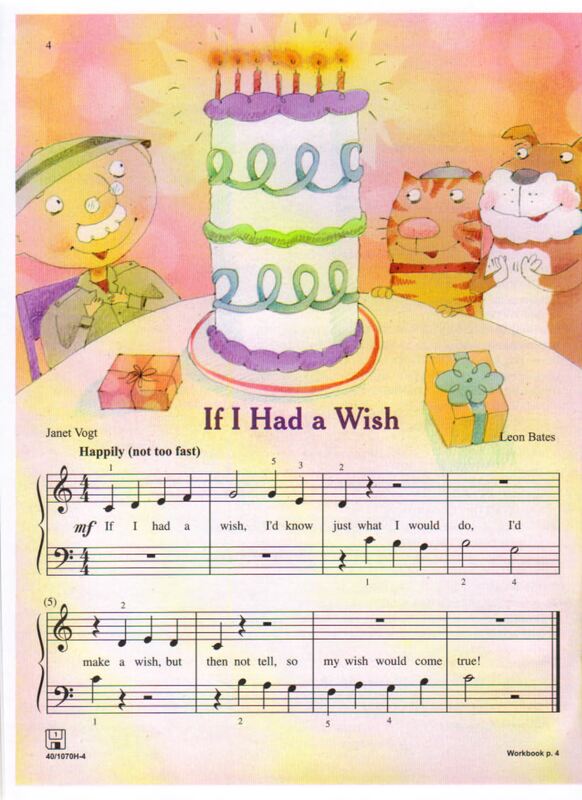 It continues teaching the fundamentals of reading music and finger position, while offering slightly more extended songs and pieces designed to get the student more comfortable on the keyboard as well as familiar with addition musical concepts such as legato, staccato, intervals and tempo marks, which serve as preparation for the next book set, Level 1B. The other sets in the series include the On or Off-Staff Starter which may be used for beginning students with or without basic reading capabilities, and then packages Level 1B, Level 2A, Level 2B, Level 3 and Level 4. The music and accompaniment tracks in these lesson books are all graduated in difficulty . . . by Level 3 and Level 4 the student will experience some reasonably challenging piano music along with sophisticated accompaniment tracks. Adults have found the WebOnlyPiano Discoveries course extremely enjoyable as well . . . they don't mind the cute animal characters that coach the student on each page. They find it a good way to "de-stress" as they learn to play the piano! Artist: Janet Vogt, Leon Bates and YOU! 11. Eeek! Bump! Yikes! Jump!